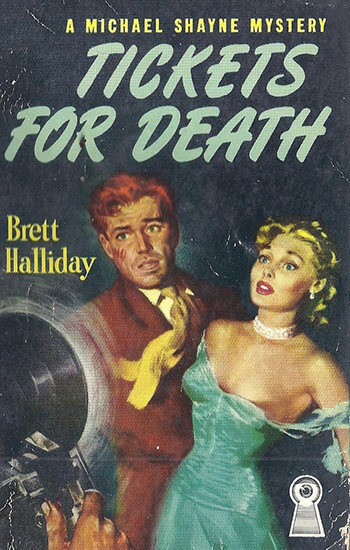 Brett Halliday's greatest contribution to the detective fiction genre was the creation of "that reckless, red-headed Irishman", Michael Shayne. "The Murder Trial of Jack Holmes"
Part of a mystery writer’s craft is the ability to wrap up all of the reader’s questions by the end of the story. A little bit of mystery about the writer himself may or may not be a good thing, but hopefully it can help to sell stories. 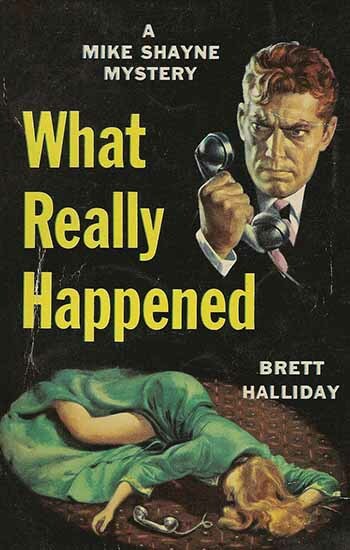 Brett Halliday’s greatest contribution to the detective fiction genre was the creation of “that reckless, red-headed Irishman”, Michael Shayne. 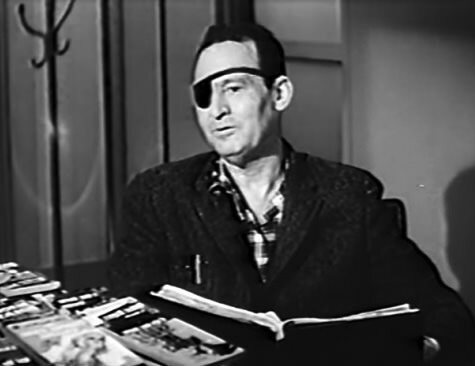 If there is a formula for creating a hard-boiled fictional detective, Halliday followed it to the letter when he created Shayne. In fact, more than one has called Michael Shayne the "generic private eye." He solves the problems he runs across with a pretty equal measure of brains and brawn (although in later stories he tends to use his fists more than the gray matter). He was quick to notice a pretty girl and they noticed him as well, but his heart belonged to his pretty wife (who was eventually killed off in the series to help sell more novels). He could be moody and distant, and according to his creator he downed a bottle of Martell Cognac each day. Halliday claimed that his fictional detective on a real life character. When Halliday was working as a merchant seaman his ship stopped in Tampico to take on a load of crude oil. A group of seamen wandered into a waterside bar where one of the patrons was a red headed American sitting alone, sipping his cognac. When a fight broke out, the burly red head jumped into the fray and carried Halliday out of the bar and away from the fracas. Years later, Halliday says he ran into the same character in a dive in New Orleans. When he sat down and reintroduced himself, a pair of large, unsavory characters came into the bar, and our hero disappeared into the French Quarter night, never to be seen again. Shane would appear in 77 novels, 300 short stories, and several movies as well as on the radio. Not bad for someone who never really existed, but then again, his creator was a fictional character himself. Maybe not completely fictional, but Brett Halliday was in fact one of the non de plumes used by Davis Dresser. Halliday was not the only alias that Dresser wrote under, nor was he the only writer to use write as Brett Halliday. Several other writers created stories for the Michael Shayne franchise, and most writing under the creator’s name. Davis Dresser’s background is worthy of a character in an adventure novel. He was born in Chicago but grew up in West Texas. 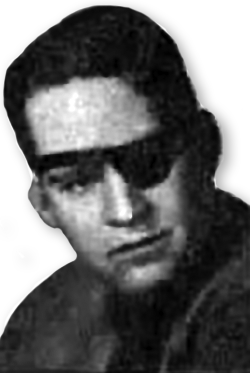 Sometimes working as a cowboy, an accident as a boy cost him an eye, and he wore an eye patch for the rest of his life. At 14, he ran away to join the US Calvary at Ft. Bliss and worked for the US Border Patrol. He also worked as a deckhand on a freighter, a muleskinner, an oilfield worker and several other jobs before settling back in Texas where he took a degree as a civil engineer and working as a surveyor before taking up the writing trade. The various Michael Shayne radio series gave Brett Halliday credit for creating the character, but he was never credited with writing any of the scripts. Halliday did take over hosting duties of Murder by Experts from fellow mystery writer John Dickson Carr. The show’s concept was unique. Each week the host would select a favored mystery writer (an ‘expert’ in murder) who would then select a favorite story by another author which would be dramatized. As a device for selling mystery stories, this seems like marketing genius; three different authors were getting a plug every week. The fact that Brett Halliday was a nom de plume used by several writers has led to speculation that the voice heard on Murder by Experts was an actor hired to play Halliday and not Davis Dresser. However, during this period Dresser was actively writing for the Michael Shayne franchise, if not for the radio characterization. Be the first to comment on "Brett Halliday"